Oak Brook, Illinois – January 6, 2016 – Millennium Trust Company announced today the launch of the Millennium Alternative Investment Network™ (MAIN), a centralized online service dedicated to simplifying the custody of alternative investments. MAIN delivers an efficient end-to-end solution for individuals and advisors looking to hold alternative investments within either IRAs or taxable custody accounts. Through MAIN, investors can link to the growing number of investment platforms offering access to an increasing range of alternative investments. After completing their research and selecting an investment via a platform, investors can complete Millennium’s required documents to open and fund an account and direct their investments entirely online. Further, MAIN comes at a time when investors are often seeking alternative investments as a way to diversify their holdings. In fact, by 2020 alternative assets are expected to grow to as much as $15.3 trillion according to PricewaterhouseCoopers. 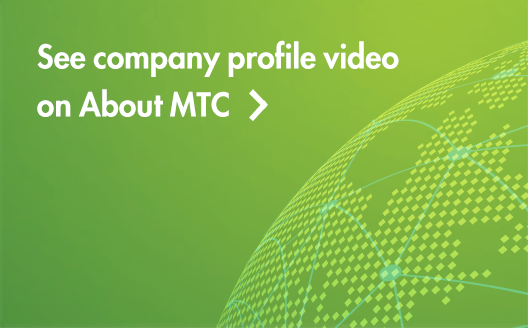 Millennium Trust has a history of providing innovative solutions for online platforms and other service providers, who share the common goal of creating an easier way for qualified investors to learn about, research, buy, and sell alternative investments. MAIN is launching with four platforms that offer clients access to invest in private companies, hedge funds, real estate and other investments through a Millennium Trust account. "Real estate crowdfunding allows investors to access a wide variety of investment opportunities, and upcoming regulatory changes will allow more investors to participate," said Amy Kirsch, Head of Investor Relations at PeerRealty. 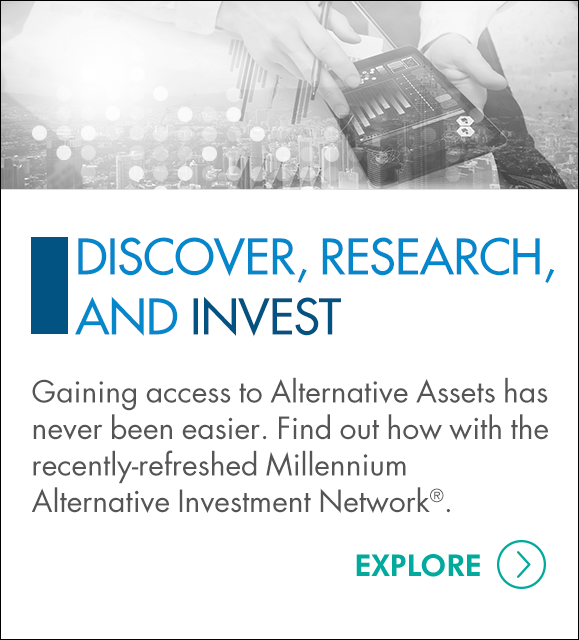 "Millennium Trust has been at the forefront of streamlining the investment process for self-directed IRA investors, and we're thrilled to be a part of the Millennium Alternative Investment Network." "StreetShares is happy to join MAIN and to provide investors with the ability to access a unique asset: small businesses loans. Not only do our investor members have the potential to earn stable returns that are uncorrelated to traditional asset classes, but by providing capital to small businesses they help create jobs, and strengthen our communities," said Mark L. Rockefeller, Chief Executive Officer and Co-Founder of StreetShares. Millennium Trust does not provide due diligence on prospective investments, platforms, sponsors or service providers and does not sell investments or provide investment, tax or legal advice. Millennium Trust does not endorse any platform or investment, including platforms and investments which may be reached through MAIN. The views above regarding investments available through a platform represent solely the views of that platform. Each platform provided the information below. FNEX is “The Alternative Investment Marketplace” connecting accredited and institutional investors to investment opportunities in private companies, private investment funds (hedge funds), and managed futures accounts. FNEX’s mission is to help investors source investment opportunities, and help offering groups connect with investors. FNEX was founded in 2012 by professional investors, entrepreneurs and attorneys. For more information please go to www.FNEX.com. PeerRealty.com is a streamlined, online portal that allows any accredited investor to participate in high-quality real estate deals. A strong team and advisers with institutional backgrounds review and select deals. The leadership team has over 30 years of experience in the real estate industry, and includes M.B.A.'s from Northwestern University's Kellogg School of Management, the University of Chicago Booth School of Business, and the University of Miami (FL), along with J.D. 's from the University of Chicago Law School and the University of Miami (FL). For more information on PeerRealty visit www.PeerRealty.com. StreetShares is an affinity-based small business lending marketplace that connects small business owners with qualified retail and institutional investors. Investors compete in an online auction to fund portions of the requested loan, and StreetShares combines the lowest bids into a single loan. StreetShares blends peer-to-peer lending with traditional banking. While open to all small business owners, StreetShares is veteran-owned and has a particular focus on funding veteran-owned businesses. For more information visit www.streetshares.com. Money360 is the first peer-to-peer (P2P) lending marketplace for real estate loans, matching worthy borrowers with qualified private lenders. Money360 initially launched in California with national expansion immediately pending. Lending opportunities are only available to qualified private lenders. Money360 originates, underwrites, coordinates and services all the loans. Borrowers and lenders can apply at www.money360.com.